If you’d like to sponsor Tommie, please select your sponsorship frequency below. Tommie is a male Congo African Grey parrot. He was caught in Africa, and imported to be used as a breeder bird. His age is not known, but can be estimated to be at least thirty-five, as he was very likely imported in the mid-1980 time period. Tommie came into the country, and after quarantine, was bought by a breeder in Connecticut. The breeder kept Tommie for two years, but Tommie did not bond with any of the female birds presented to him. Because of this, the breeder contacted a rescue person to sell Tommie for him, to a good family. The husband of the rescue person took a liking to Tommie, but more importantly, Tommie himself took a great liking to a female Congo African Grey named Oscar in the rescuer’s aviary–and so, Tommie went no further. Tommie fell in love with Oscar at first sight. Though wild caught, he is fascinated by people, and has always been friendly and curious where humans are concerned. He enjoys stepping up for a tickle and a treat. Tommie and Oscar came to stay at the Oasis when the rescuer became ill. The pair arrived in 2003. 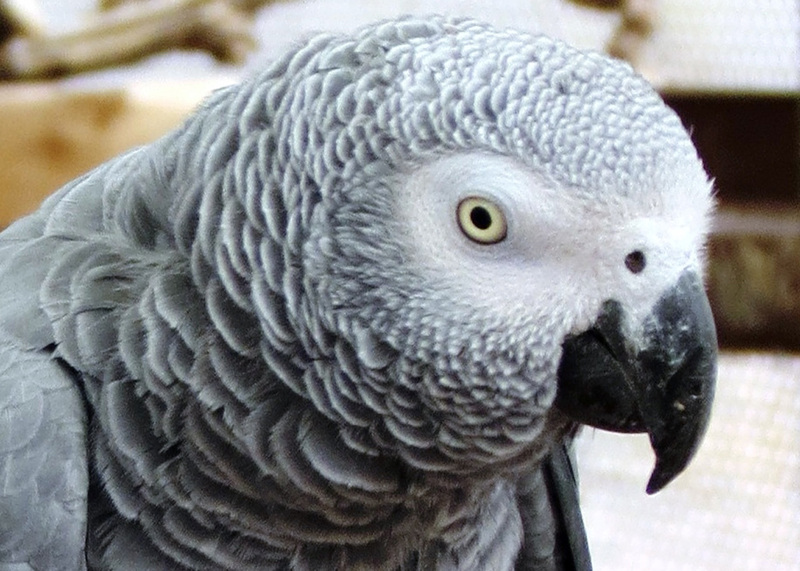 Oscar has since passed away, but Tommie remains as one of our most beloved African Grey Parrots.